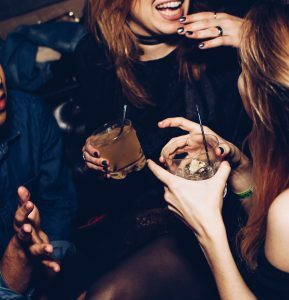 Research by the University of Brighton has shown than publicity campaigns can help combat alcohol-fueled sexual contact. Dr Matthew Wood, our lectures on our Social Marketing PGCert, teamed up with Professor Paurav Shukla from Essex Business School to evaluate a campaign by the alcohol education charity Drinkaware. Their campaign message was: ‘If you wouldn’t do it or tolerate it when sober, then you shouldn’t when drunk’ and the campaign targeted young adults in the North West of England through cinemas, advertising, posters, Spotify, YouTube and social media. The campaign team surveyed more than 2,000 people before and after the campaign and their feedback was compared with those from a control group who had not been exposed to the campaign. Dr Wood and Professor Shukla looked into whether the campaign had changed attitudes. And they’ve found it was a success, with significantly more women saying they were less likely to tolerate unwanted sexual attention after seeing the campaign. Professor Shukla said: “It has been observed by police in the UK that unwanted sexual attention in pubs, bars and nightclubs has become so common that people don’t even bother reporting it. Tagged digital marketing, Industry, research, social marketing. Bookmark the permalink.